Kimchi-jjigae as in "kimchi-soup" is a staple dish in Korea. There are actually restaurants that only serve this dish alone. 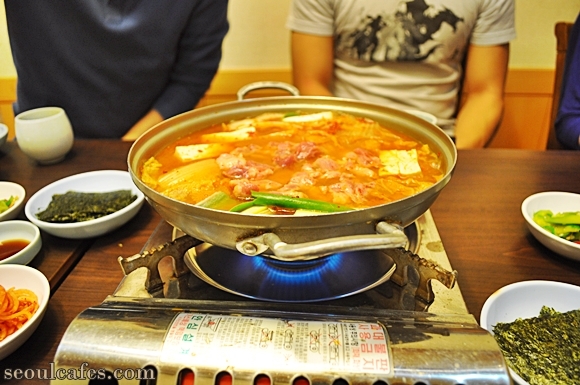 No other menus, just the good old kimchi jjigae. They will usually just ask you how many orders you want. I prefer restaurants that specialize in one thing. 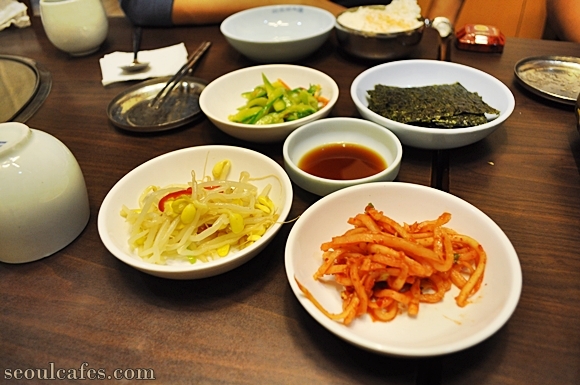 Korean restaurants usually prefer to serve one type of thing that they can specialize on. The quality is pretty much on the spot. So if you come across a restaurant that does one thing - you're pretty safe. Just make sure there are customers inside if its a pretty busy hour. That's how I usually like to pick restaurants. And if you are iffy about "unkept looking" restaurants. You might be put off to know that some of the best tasting authentic restaurants look "old". I say this because in Korea, a good restaurant doesn't always come with "good decor". There is a tradition in the restaurant business here that you don't change the decor -chairs/colors/even the roof- you started with if you want to keep going (with the business).